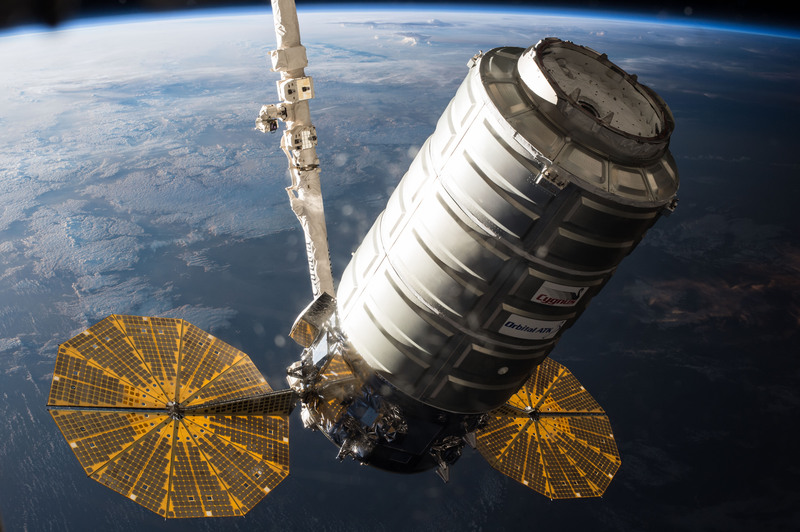 Cygnus OA-5 is the sixth operational cargo resupply mission of Orbital ATK’s Cygnus Spacecraft to the International Space Station under NASA’s Commercial Resupply Services Program. The mission comes after a pair of interim missions flown by the ULA Atlas V rocket to bridge a gap in Antares launches after a dramatic launch failure in October 2014 caused by an anomaly with one of the rocket’s AJ26 engines. 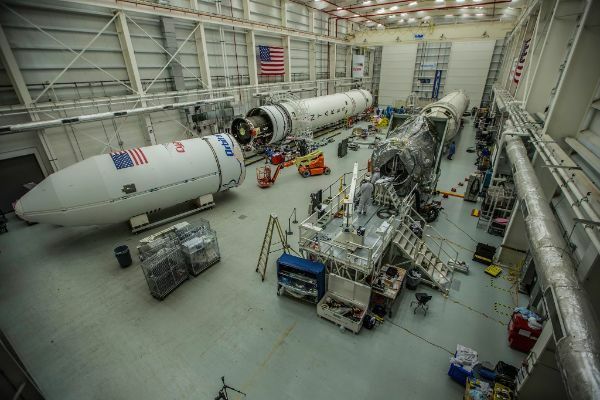 Orbital ATK decided to suspend Antares missions to accelerate plans to replace the AJ26 engines that are refurbished and modified NK-33 engines built in the Soviet Union in the 1970s. The new engines, designated RD-181 and built by Russian company NPO Energomash, provide additional power to the launch vehicle with a higher thrust than the AJ26s and, combined with the larger Castor XL upper stage, allow Antares to lift fully-loaded Cygnus spacecraft into orbit. 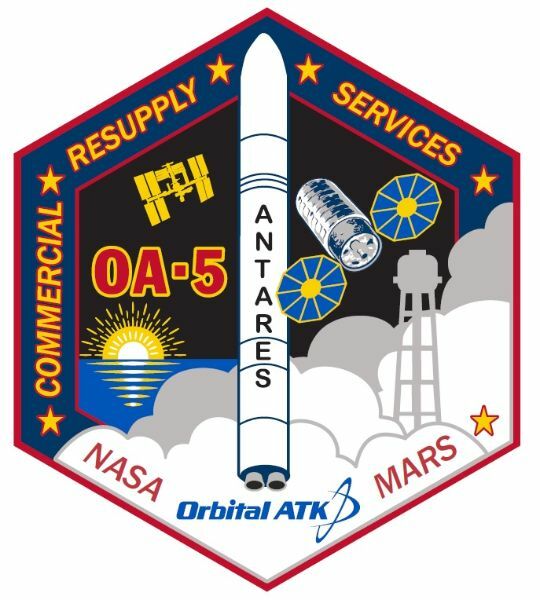 The OA-5 mission carries to the International Space Station 2,342 Kilograms of cargo comprised of 498kg of science experiment hardware, 585kg of crew supplies including food, 1,023kg of maintenance equipment & replaceable parts, 56kg of computer resources, 42kg of Russian Hardware and 5kg of spacewalk equipment. 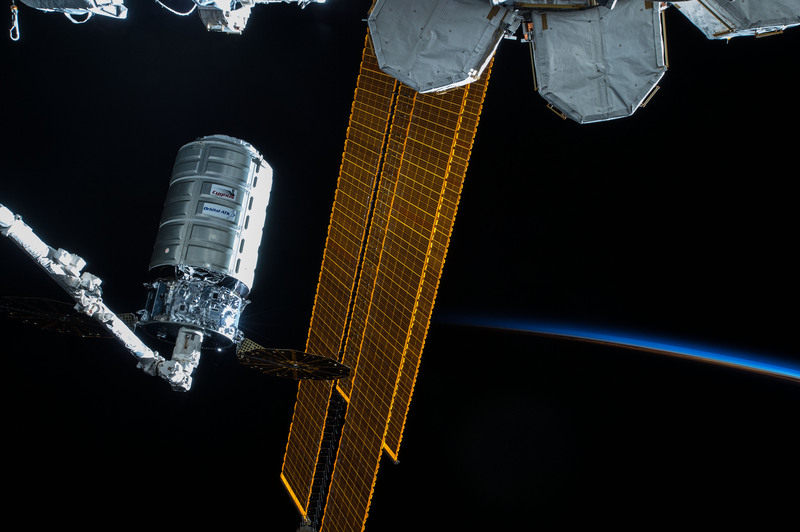 In addition to its internal cargo, Cygnus hosts a NanoRacks CubeSat Deployer to eject a number of small satellites into orbit after departing the Space Station. Also, OA-5 is the second mission to host a SAFFIRE in-space fire experiment looking at large-scale fire spread dynamics in microgravity by repurposing the Cygnus cargo vehicle as a free-flying science platform after its visit to ISS in order to permit experiments that could not be run safely on a crewed spacecraft. Cygnus OA-5 bears the name SS Alan Poindexter in honor of the late NASA Astronaut who piloted and commanded Space Shuttle missions to the International Space Station and supported many more from Mission Control. Aerosols – small particles suspended in air – can be a big problem aboard a spacecraft because smoke and dust particles will not settle in microgravity the way they do on Earth, posing a significant risk to crew members. 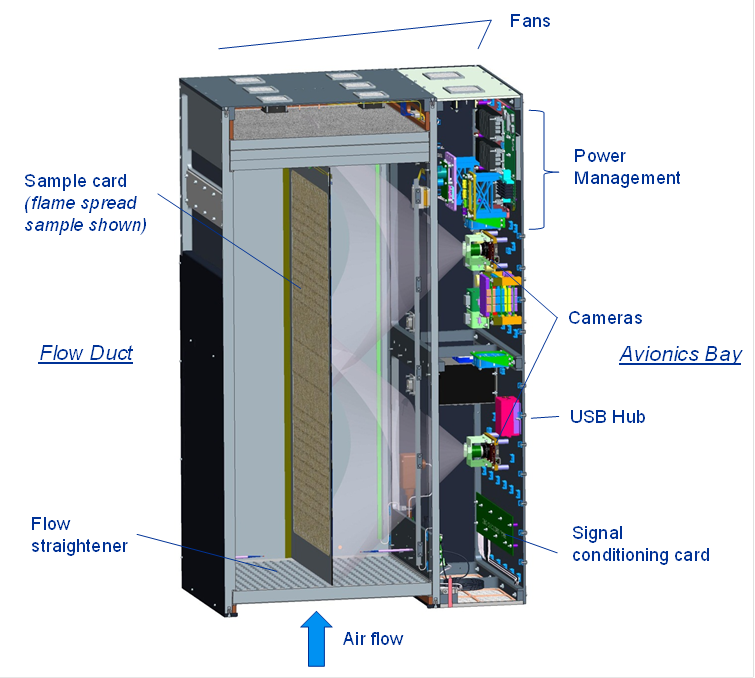 The Aerosol Sampling Experiment (Aerosol Sampler) aims to collect airborne particles from the Space Station’s atmosphere and returns them to Earth to permit a microscopic study in order to identify their origin. Two different sampling devices are being flown – a Passive Aerosol Sampler (PAS) with five collection surfaces within a metal housing exposed to the Station’s atmosphere for a period of days, and an Active Aerosol Sampler (AAS) employing a pump to increase the air throughput and complete sampling in a period of hours. 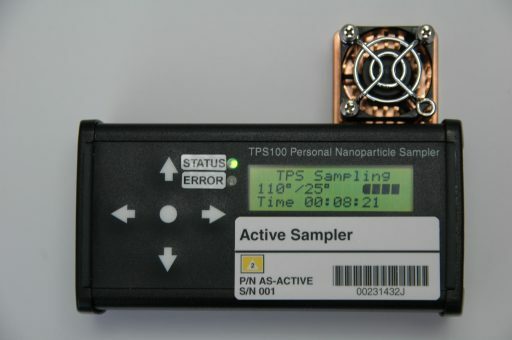 Both collection devices can capture particles of a few nanometers to hundreds of micrometers in size. The PAS has drawer-like collection surfaces covered with carbon tape which is opened for periods of 2, 4, 8, 16 and 32 days for the collection. 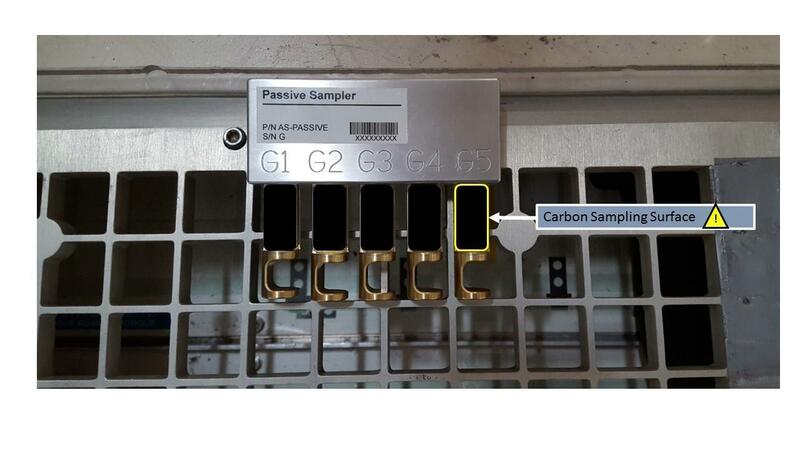 The sampler is installed on the edge of an air vent so that it can intercept the air inflow into the ventilation system. AAS pulls in air using the pump while capture of particles uses a mechanism where the air is led through a narrow channel and a thermal gradient is created in the flow which causes particles to migrate to the colder side. There, an electron microscope (EM) grid captures the aerosol particles. Once the samples are returned to Earth they are put through electron microscope analysis plus spectral analysis to determine the elemental composition of particles. 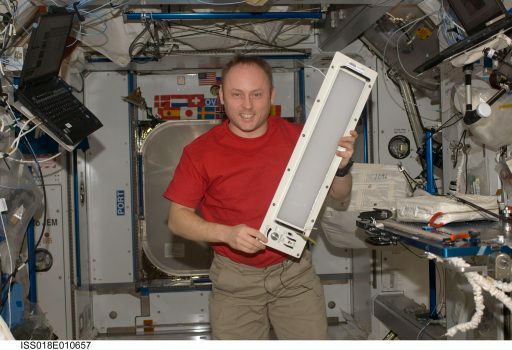 The primary objective of the experiment is to characterize the composition of the aerosol on board ISS with respect to particle size and chemical constituents. 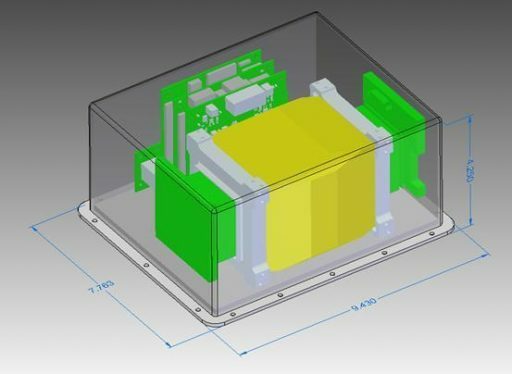 Furthermore, it will inform of design changes needed to optimize the collection devices for future particulate monitors. 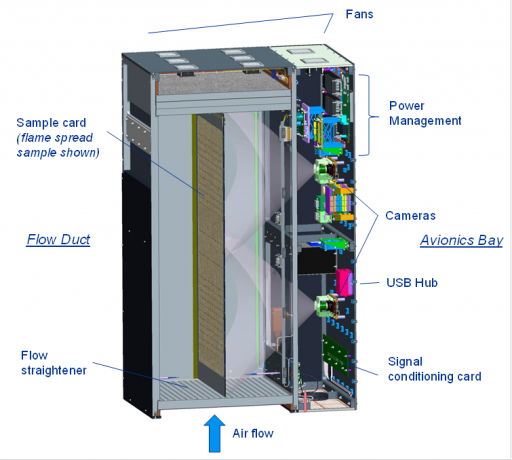 Also, knowledge gained on ambient aerosol composition in a space vehicle can lead to improvements on spacecraft fire detectors to discriminate between dust or background particles and smoke. 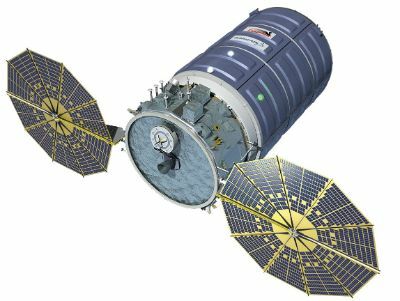 SAFFIRE-II, the second Spacecraft Fire Experiment, will intentionally light a number of select material samples on fire inside the Cygnus spacecraft after its departure of ISS, a few days before it re-enters Earth’s atmosphere. Only very few experiments were run to study combustion and fire processes in microgravity, let alone large-scale fire progression within a spacecraft. 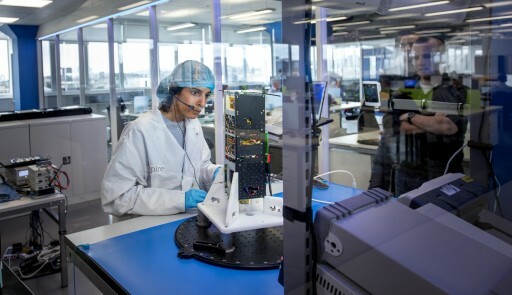 SAFFIRE aims to study a realistic fire on a space vehicle, looking at flame growth, temperatures and oxygen use to assess how microgravity and limited oxygen affect the properties of a fire. Data from SAFFIRE will be used to improve fire safety on future crewed spacecraft and help NASA in choosing materials for future vehicles. The Cool Flames Experiment is designed to study low-temperature fires without visible flame in a microgravity environment, following up on an earlier experiment that showed surprising results scientists did not expect based on the models they had generated through high-temperature tests. A study conducted in 2012 used Heptane fuel that was ignited in the Station’s experiment facility and was shown to be burning with a typical hot-flame before the visible flame vanished and a second-stage vaporization stage set in, sustained by cool-flame chemical heat release. 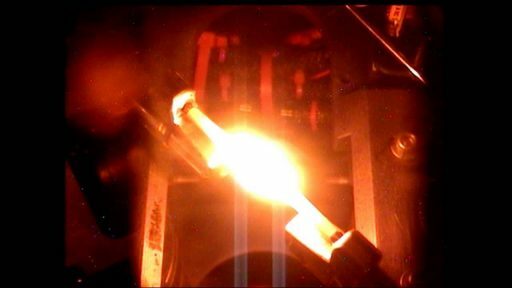 This was the first time scientists observed cool flames in steadily burning pure fuels without sooting. The name cool-flames is somewhat misleading – low-temperature fires are active at temperatures of around 600 degrees which is much cooler than conventional fires, e.g. a typical candle burning at 1,400°C. Interestingly, scientists discovered, the two-stage burning was only present in large heptane droplets over 2.4 millimeters in diameter and, in droplets that started out larger, second-stage extinction occurred at a certain size. Further FLEX studies showed the same phenomenon was present with n-octane and decane. The discovery of the two-stage burning phenomenon had implications on the Earth and off the Earth. For spaceflight safety, developers of new fire suppression systems will have to consider that pure-fuel flames are not really out even when no visible flame can be seen, presenting the danger of re-ignition into an open flame if conditions are right. On Earth, the discovery of two-stage combustion could be a useful modification to internal combustion engines aiming to reduce the release of pollutants such as oxides of nitrogen. The Cool Flame Experiment sets out to specifically study low-temperature fires in the space environment to modify existing models, provide data for the development of clean-burning engines and fuels, and deliver additional requirements for future in-space fire suppression systems. Cool Flames represents a threefold effort to a) understand the low-temperature burning characteristics of different alkanes to help develop new computational models for practical applications on Earth, b) to investigate low-burning characteristics of pure fuels, bio-fuels and surrogate reference fuels, and c) to study the two-stage burning behavior of additives to identify chemicals that can disrupt/prevent the low-temperature burning phenomenon. The Cool Flames Investigation (CFI) uses the Station’s Combustion Integrated Rack for ground-controlled combustion experiments, reducing the amount of crew time required for the study. 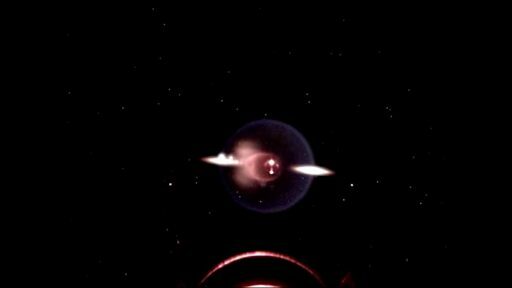 Experiment runs consist of the combustion of large alkane fuel droplets that ignite to a hot-burning stage followed by radiative extinction and continued burning at low flame temperature. Experimentation will be carried out under varying conditions with pressures of 0.5 to 5 atmospheres and oxygen concentration from 10 to 30%. The liquid fuel is dispensed onto a support fiber followed by the retraction of the injection needles and a dwell time to allow internal fluid motion to subside. A pair of igniters is fired for one to five seconds and then retracted out of the field of view of the CIR instruments that measure the burning process. For Cool Flames, the CIR will be upgraded with a new camera system with infrared filters to be able to study the invisible flame dynamics. The upgrade also includes new data processing and storage systems plus a new radiometer to measure the radiative heat emission from the burning sample during both stages of the combustion process. Lighting Effects – a human research study – explores the impact of a lighting system tuned to the specific needs by a crew member during different portions of the day to improve crew health, sleep and effectiveness throughout the day. As a number of studies have shown, the light intensity and spectrum humans are subjected to has a significant effect on human physiology and important functions such as sleep quality and alertness. 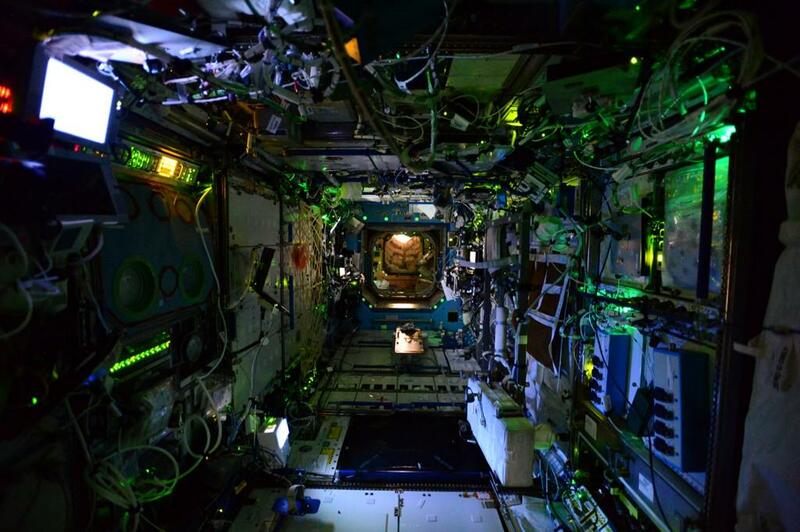 Maintaining a normal circadian rhythm during a long-duration stay in Earth Orbit can be a challenge – the Station passes through orbital day 16 times in a 24-hour day and frequent sleep cycles or night shifts to support visiting vehicle operations can further derail a crew-members day-night rhythm. This, in turn, can affect a crew member’s sleep quality and quantity, impair alertness, reaction time and cognitive abilities – all factors in human-fatigue-induced accidents. 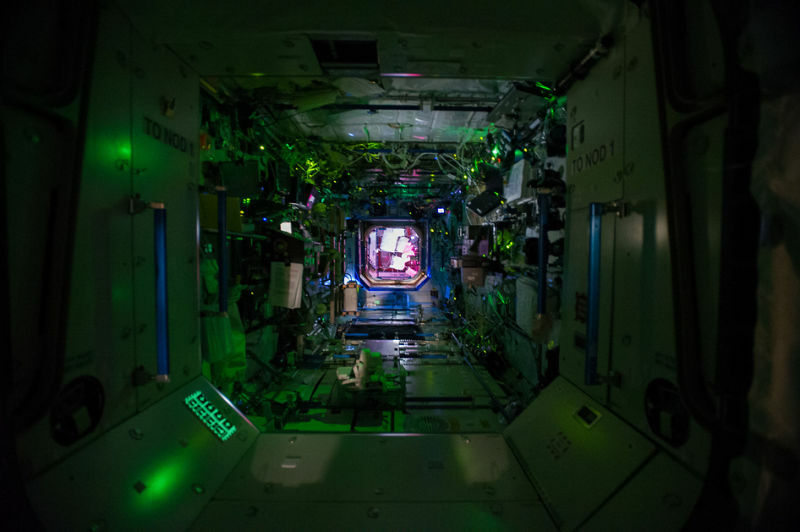 The typical day-to-day schedule on ISS permits crew members to sleep around six hours a night and the majority of crew members use hypnotic medications and caffeine to address insomnia and daytime sleepiness. This and slam-shifts in the crew’s sleep schedule can lead to prolonged circadian misalignment which reduces crew effectiveness during the work day. 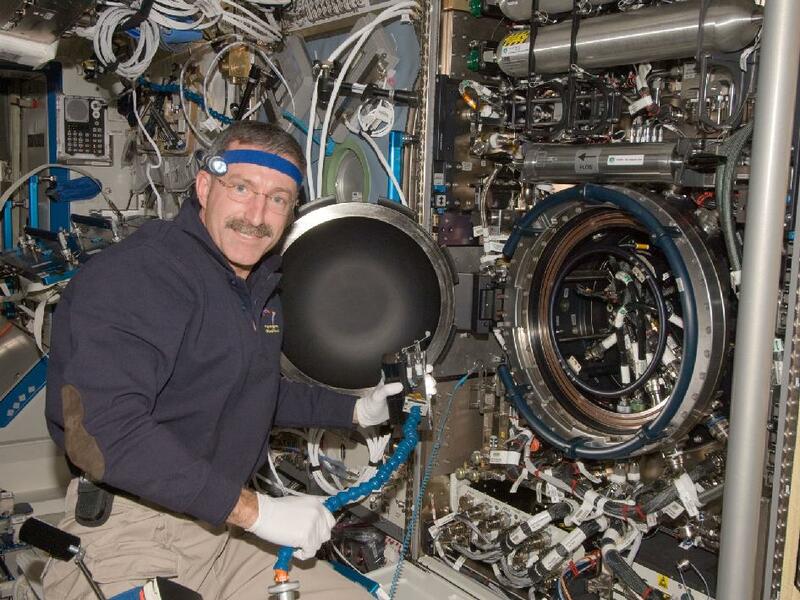 Minimizing the risk for fatigue-related accidents and performance reduction is of utmost importance when considering the high-risk environment on ISS. The Lighting Effects Investigation will deploy a new lighting system on ISS featuring LED light fixtures that can be adjusted in their intensity as well as the color of the light. 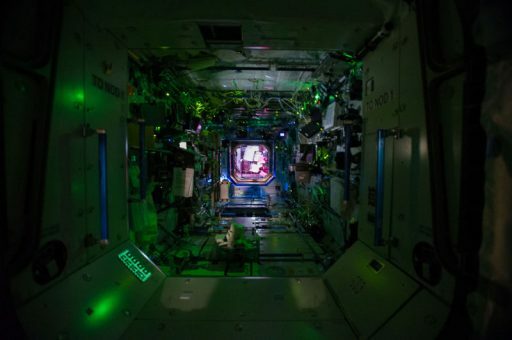 This allows the lighting environment to be tuned to the crew’s working and sleep schedule via a Dynamic Lighting Schedule (DLS) – varying the intensity and spectrum of light emitted by the system. The major advantage of manipulating human physiology through light is that it is completely safe as opposed to alternatives like pharmaceuticals. Of course, the results of the study can be directly transcribed to Earth-based applications to help people deal with challenging work shift schedules. As studies have shown, light can act as a powerful countermeasure to sleepiness and circadian misalignment. Short wavelength light, appearing blue, can suppress the production of nocturnal melatonin and increase alertness. 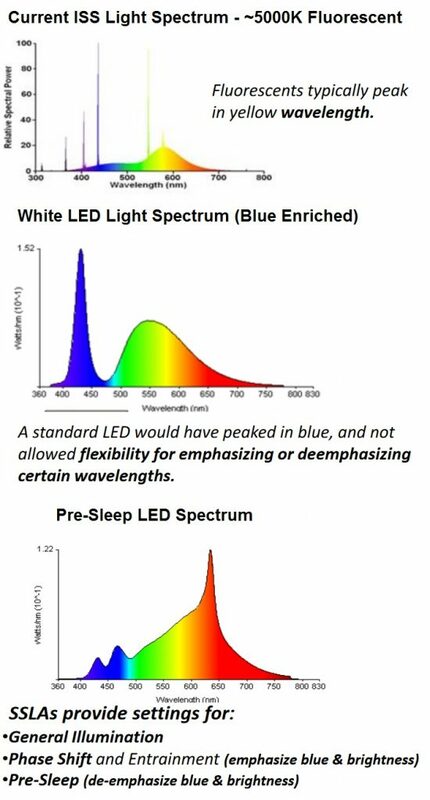 White-appearing light can be enriched in the blue range of the spectrum to improve work performance and, over multi-day exposure, can shift a misaligned circadian rhythm back to normal sleep-wake hours. Three different lighting settings have been chosen for the Dynamic Lighting Schedule (DLS). A General Illumination Setting provides white light at a color temperature of 4500 K and an intermediate intensity of 210 candelas, suitable for use during daytime hours when illumination of work sites is required. The setting to enhance alertness uses a more intense light at 420 candelas enriched in blue, at a color temperature of 6500K while the pre-sleep setting reduces intensity to 90 candelas and employs blue-depleted light at a color of 2700 K with additional dimming & shading options available inside crew quarters. The objectives of the Lighting Effects Investigation include the verification that the changed light colors and intensities allow the crew to maintain acceptable visual performance and color discrimination when working on operational tasks, the DLS enhances the stability of circadian entrainment, eases the recovery from slam-shifts, improves sleep duration & quality, and enhances daytime alertness and performance. For the assessment of the DLS, researchers will make use of existing experiments that test a crew member’s alertness, reaction time, and cognitive abilities, and measure circadian rhythms before, during and after space flight. These records will be pulled for crews who stayed on ISS with conventional lighting and compared to data gathered with crew members subjected to the DLS. The study requires at least six test subjects plus historical control subjects who participated in the Biochemical Profiles Investigation, Reaction Self Test and other sleep studies. Two-week in-flight sessions are planned for each crew member, requiring them to wear actiwatches documenting crew activity, complete 24-hour urine collection and conduct three cognitive tests each day. At least one experiment run will include a standard crew sleep shift spread over a period of days and another run will be completed after a slam shift. The test run also encompasses two visual performance tests, each performed under all three DLS settings plus another in the current lighting environment. Lighting conditions are regularly verified during the experiment trial via light meter readings. Results of the experiment are expected to deliver new information to flight surgeons, psychologists, and crew members to better regulate circadian rhythms and improve overall quality of life during extended space missions. Engineers may benefit from the study by learning about new requirements for future spacecraft to help crews maintain a stable circadian rhythm. Space Radiation is one of the most critical issues facing future crewed missions to distant targets such as Mars and asteroids requiring extended cruise phases in the harsh radiation environment of deep space. 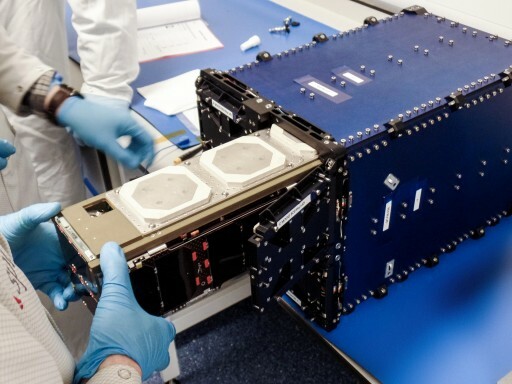 Previous studies have shown that – even in Low Earth Orbit – the radiation environment can reduce a person’s immune response, cause elevated risk of cancer and, unrelated to human physiology, can affect the performance of electronics which, on a crewed spacecraft, can also pose a risk to crew members. The Fast Neutron Spectrometer (FNS) uses a new method of measuring neutral particles at high-energies that previously could not be detected but represent an important part of the total radiation exposure experienced in space. Neutrons are hard to detect because they carry no electrical charge and pass through most detector systems. FNS employs a new type of gate and capture technique that slows the neutrons and then captures them in an isotope of Lithium suspended in glass fibers. 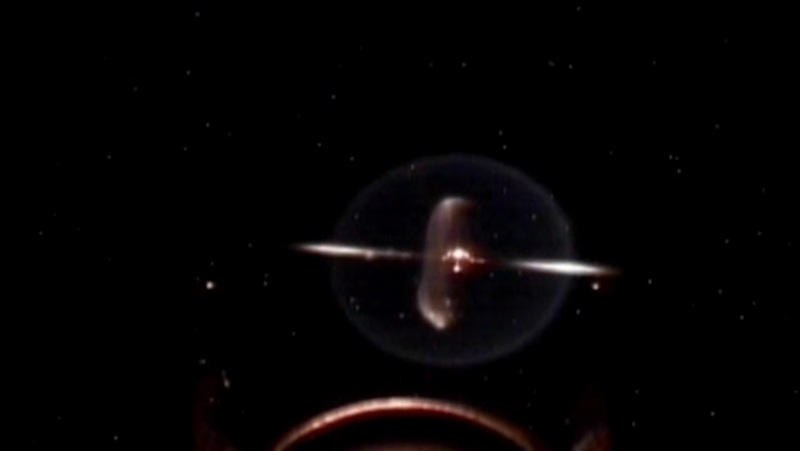 When captured in the Li-loaded glass, the neutrons produce a flash of visible light (scintillation) unique to the capturing process which can be detected by conventional instruments. Through calibration of the instrument, the neutral particles can be identified and total neutral flux calculated. 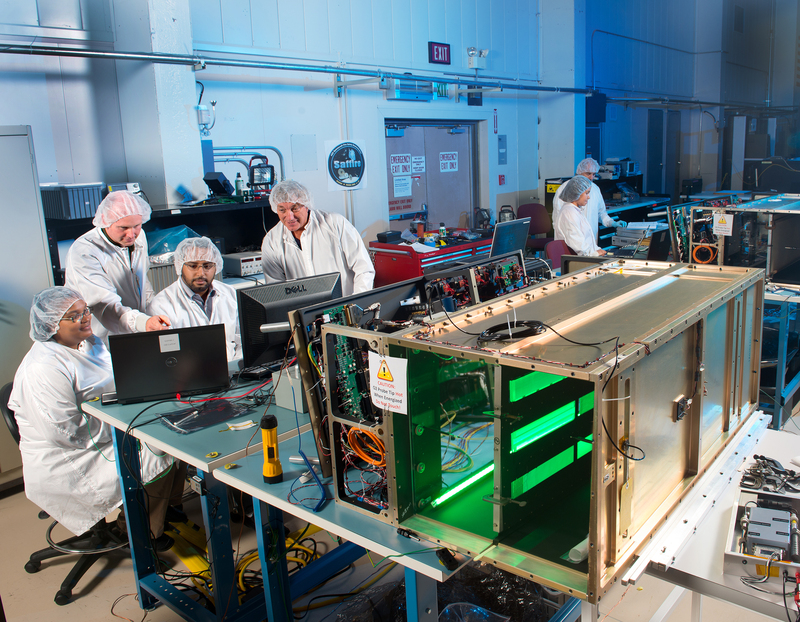 The prime objective of the system is to demonstrate the FNS instrument’s performance in a mixed radiation environment that includes sources from cosmic rays, solar energetic particles, trapped radiation belts and albedo neutrons coming from Earth. Applications of the detector technology go beyond the measurement of the radiation environment on crewed spacecraft – future robotic exploration missions could use similar detectors to study high-energy neutrons at other planetary bodies. For its demonstration – lasting at least six months, FNS will be relocated from the U.S. Lab to Node 1 and finally to Node 2 to evaluate the shielding provided by the different module types. EveryWear is a European Space Agency Study that will test a user-friendly tablet app that aims to provide crew members a new and faster way to collect personal data on nutrition, sleep, exercise and medication – typical logs kept by ISS crew members as part of ongoing science experiments. Streamlining the logs needed by different experiments and recording them in a single application will be a significant time-saver for crew members. The system is used for questionnaires and clinical data logs and it can be used to take data directly from compatible systems such as ESA’s SmartShirt that collects BioMed data during exercise. A similar system exists for the monitoring of sleep quality. Further time-saving measures by the tablet-based system is an integrated bar-code scanner which permits a crew member to log their diet by scanning the barcode on the food provisions ingested over the course of a day instead of going through the trouble and manually writing down every piece of food consumed that day. The Controlled Dynamics Locker is a valuable addition to ISS experiment facilities to provide motion-sensitive experiments a perfectly still environment by canceling out vibration and jitter caused by crew and systems activity on the ISS which can disturb the microgravity environment. A magnetic system is employed to cancel out ISS jitter but also to create fine-tuned vibrations at adjustable frequencies that may also be needed by future experiments. SUBSA – Solidification Using a Baffle in Sealed Ampoules – is a materials science study looking at the crystallization of Semiconductor materials. The solidification of metal compounds in space can yield large high-quality crystals desired in a number of applications in electrotechnology. However, the process can be affected by convection in the liquid phase caused by vibrations in a spacecraft. 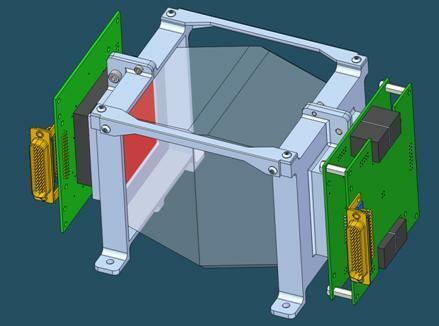 An earlier SUBSA demonstrated an automatic baffling system to minimize melt motion and achieved for the first time in a space mission reproducible, nearly identical crystals. SUBSA tests the performance of an automatically moving baffle, visualizes the melting process to identify what factors cause melt motion, produces crystal with reproducible properties, and determined the advantages of liquid encapsulation in microgravity conditions. Copyright © 2019 Cygnus OA-5 | Spaceflight101. All rights reserved.